Now, as that date approaches, much has changed. Ellie, bereft of the faith she grew up with, is a single mom living in a tired apartment and trying to make ends meet. Nolan, now an NBA star, has dealt with terrible personal tragedies that fueled his faith and athletic drive in equal measure. Ever since his father and coach succumbed to a heart attack, Nolan has suffered from a transcendent loneliness. Drowning in an ocean of grief, he often thinks about Ellie and the innocence of their childhood days together. As Ellie and Nolan move toward the possibility of a reunion at the oak tree, Molly and Ryan, the central characters from author Karen Kingsbury’s previous novel The Bridge, return in their own ongoing story. Written by the “Queen of Christian Fiction” (Time) with eloquence and grace, The Chance is a beautiful tale of heart-wrenching loss, the power of faith, and the wounds that only love can heal. Her mom didn’t come home for dinner—the third time that week. That was the first hint Ellie Tucker had that maybe her father was right. Maybe her mother had done something so terrible this time that their family really would break in two. And no one and nothing would ever put them back together. Ellie was fifteen that hot, humid Savannah summer, and as the Friday afternoon hours slipped away, as six o’clock became six thirty, she joined her dad in the kitchen and helped him make dinner. Tuna sandwiches with a new jar of mayonnaise, warm from the cupboard. They worked without talking, her mother’s absence weighing heavy in the silence of the passing minutes. The refrigerator didn’t have much, but her dad found a bag of baby carrots and put them in a bowl. When the food was on the table, he took his spot at the head, and Ellie sat next to him. The place across from her, the spot where her mother usually sat, remained glaringly empty. She did what she was asked. Twenty minutes later, she was still finishing when she heard her mom slip through the front door. Ellie looked over her shoulder, and their eyes met. Lately, Ellie felt more like the mother, the way a mother might feel when her kids were teenagers. Her mom wore her work clothes, black pants and a white shirt. As if work had just now gotten done. “Where’s your father?” Her mother’s eyes were red and swollen, her voice thick. “In his room.” Ellie blinked, not sure what else to say. Before Ellie could ask where she’d been, her mom turned and walked down the hall. Ellie checked the clock on the microwave. Seven thirty. Nolan had another hour in the gym, another hour shooting baskets. Then Ellie would ride her bike to his house, the way she did most nights. Especially this summer. Since her parents had started fighting. She dried her hands, went to her room, and shut the door behind her. A little music and some time with her journal, then Nolan would be home. She turned on the radio. Backstreet Boys filled the air, and instantly, she dropped the sound a few notches. Her dad said he’d take away her radio if she listened to worldly music. Ellie figured worldly was a matter of opinion. Her opinion was the Backstreet Boys’ music might be as close to heaven as she was going to get in the near future. The boys were singing about being larger than life when the first shout seemed to rattle her bedroom window. Ellie killed the sound on the radio and jumped to her feet. As much tension as there had been between her parents lately, neither of them ever really shouted. Not like this. Her heart pounded loud enough to hear it. She hurried to her bedroom door, but before she reached it another round of shouts echoed through the house. This time she could understand what her father was saying, the awful names he was calling her mom. Moving as quietly as she could, Ellie crept down the hall and across the living room closer to her parents’ bedroom door. Another burst of yelling and she was near enough to hear something else. Her mother was weeping. Ellie anchored herself against the hallway so she wouldn’t drop to the floor. What was happening? Her mother was pregnant? With someone else’s baby? She felt the blood leaving her face, and her world started to spin. Colors and sounds and reality blurred, and she wondered if she would pass out. Run, Ellie . . . run fast. She ordered herself to move, but her feet wouldn’t follow the command. The question stood between them. Ellie looked past him to her mom, sitting in the bedroom chair, her head in her hands. Get up, Ellie wanted to scream at her. Tell him it’s a lie! Defend yourself, Mom! Do something. But her mother did nothing. She said nothing. Ellie’s eyes flew to her father again, and she tried to step away, tried to exit the scene as quickly as possible, but she tripped and fell back on her hands. Pain cut through her wrists, but she moved farther away from him. Like a crab escaping a net. Her father was saying something about how this was more than a girl her age could understand and how she needed to get back to her room and pray. But all Ellie could hear was the way her heart slammed around in her chest. She needed air, needed to breathe. In a move that felt desperate, she found her way to her feet and ran for the front door. A minute later she was on her bicycle, pedaling as fast as she could through the summer night. He would still be at the gym, but that was okay. Ellie loved watching Nolan play basketball. Loved it whether the place was packed with kids from Savannah High or it was just the two of them and the echo of the ball hitting the shiny wood floor. With every push of the bike pedal, Ellie tried to put the reality out of her mind. But the truth smothered her like a wet blanket. Her mother had come home late again—the way she’d been coming home late since early spring. And today . . . today she must have admitted what Ellie’s dad had suspected all along. Her mom had been having an affair. Not only that, but she was pregnant. The truth churned in Ellie’s stomach, suffocating her until finally she had no choice but to ditch her bike in the closest bush and give way to the stomachache consuming her. One disgusting wave after another emptied her insides until only the hurt remained. A hurt that she already knew would stay with her forever. Exhausted and drained, Ellie sat on the curb, head in her hands, and let the tears come. Until then, shock had kept the sadness pushed to the corner of her heart. Now she cried until she could barely breathe. Her mom didn’t love her father, which meant she didn’t love either of them. She wanted more than Ellie and her dad. There was no other way to look at it. Shame added itself to the mix of emotions because Nolan’s mom never would have done something like this. Ellie lifted her face to the darkening sky. Nolan. She wiped her face and inhaled deeply. She needed to get to him before it got any later, needed to find him before he left the gym. Her bike was old and the chain was loose, but that didn’t stop her from reaching the school in record time. The sound of the ball hitting the floor soothed her soul as she rode to the back door of the gym. She leaned her bike against the brick wall next to his. She nodded. She didn’t trust her voice, not when all she wanted was to cry. No one could take away the pain like he could, her best friend, Nolan Cook. But as much as she wanted his comfort and understanding, she didn’t want him to know. Didn’t want to tell him why she was upset, because then, well, for sure it would be true. There would be no denying the truth once she told Nolan. “My parents.” She felt her eyes well up, felt her words drown in an ocean of sadness. A last look into her eyes, then he turned and jogged back to the ball. Once it was in his hands, he dribbled right and then left and took it to the hoop. In a move as fluid and graceful as anything Ellie had learned in her three years of dance, Nolan rose in the air and slammed the ball through the net. He landed lightly on both feet and caught the ball. Dribbled back out, juked a few imaginary opponents, and repeated the move. Ten straight dunks and he jogged to the drinking fountain and drank for half a minute. Next it was three-point shots. Nolan played basketball with his heart and mind and soul. The ball was an extension of his hand, and every move, every step, was as natural for him as breathing. Watching him, Ellie felt her eyes dry, felt herself celebrating his gift of playing basketball, the way she celebrated it every time she had the privilege of seeing him play. Nolan’s dream was as simple as it was impossible. He wanted to play in the NBA. It was something he prayed about and worked toward every day. Every hour of every day. From the A’s and B’s he struggled to earn to the long hours he put in here each night. If Nolan didn’t wind up playing professional basketball, it wouldn’t be for lack of trying or believing. That was all Ellie wanted, a few hours alone with Nolan at Gordonston Park. The place where they had their favorite oak tree and enough soft grass to lie on their backs and count shooting stars on summer nights like this one. She still didn’t say anything, not yet. They walked silently out the back door, and Nolan locked it. His dad was the Savannah High coach, and he had given his son a key a year ago. Too much trouble to open the gym every time Nolan wanted to shoot. They rode their bikes to Pennsylvania Avenue and took the shortcut down Kinzie to Edgewood. Nolan’s house was only half a mile from Ellie’s, but they might as well have been in separate worlds for how different the neighborhoods were. His had fireflies and perfect front lawns that stretched on forever. Ellie’s had chain-link fences and stray dogs, single-story houses the size of Nolan’s garage. The sort of house Ellie and her parents lived in. She sat with Nolan’s mother in the kitchen while he showered. Ellie’s eyes were dry now, so she didn’t have to explain herself. The conversation was light, with Nolan’s mom talking about the new Bible study she’d joined and how much she was learning. Ellie wanted to care, wanted to feel as connected to God as Nolan and his parents were. But if God loved her, why was her life falling apart? Maybe He only loved some people. Good folks, like the Cook family. A few minutes later, Nolan came down in fresh shorts and a T-shirt. He grabbed two chocolate chip cookies from a plate on the kitchen counter and kissed his mother’s cheek. Ellie blinked, and she realized, as she’d been doing a lot lately, that Nolan was growing up. They’d been friends since second grade, and they’d walked home together since the first day of middle school. But somewhere along the journey of time, they’d both done something they hadn’t seen coming. They’d gotten older. They weren’t kids anymore. Nolan was six-one already, tanned from his morning runs, his blond hair cut close to his head the way it was every summer. He’d been lifting weights, so maybe that was it. The way his shoulders and arms looked muscled in the pale green T-shirt as he grabbed the cookies. Ellie and Nolan didn’t talk about where they were going. Their spot was the same every time. The patch of grass, alongside the biggest oak tree in the park—maybe the biggest in the city. The one dripping with Spanish moss, with gnarled old roots big enough to sit on. They walked side by side to the spot. Ellie and Nolan had come here to talk about life since the summer before sixth grade. Back then they played hide-and-seek among the trees, with the enormous oak serving as home base. During the school year, when it was warm enough, they’d do their homework here. And on nights like this, they would do what came easiest for them. They would simply crack open their hearts and share whatever came out. “Right.” She moved to the spot beside him and pressed her back lightly against the tree trunk. Their shoulders touched, a reminder of everything good and real in her life. It wasn’t the first time he’d said it. He kept his tone light, so she couldn’t accuse him of being too serious or trying to change things between them. She would laugh and shake her head, as if he’d suggested something crazy, like the two of them running off and joining the circus. This time she didn’t laugh. She only lifted her eyes to the distant trees and the fireflies dancing among them. Good thing she hadn’t told him about her mother, about how she’d run off with another man and gotten pregnant. That would change everything. Nolan would feel sorry for her, and there would be no more teasing about marriage. Not when her parents had made such a mess of theirs. Ellie exhaled, hating her new reality. Yes, the news could wait. Right now she wanted nothing more than to sit here beside Nolan Cook under the big oak tree at the edge of the park on a summer night that was theirs alone and believe . . . believe for one more moment the thing Ellie wanted more than her next breath. That they might stay this way forever. 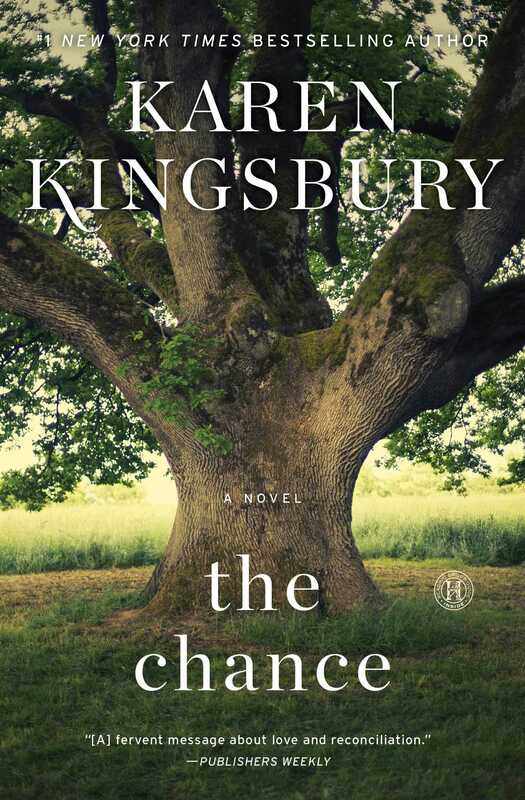 "In The Chance, Kingsbury (The Bridge, 2012) delivers another excellent novel filled with heart, adventure, and second chances. . . . Kingsbury is one of the most dependable names in inspirational fiction, and The Chance may be her best yet. She infuses such real emotion into her characters, readers will find themselves in tears multiple times throughout the novel. 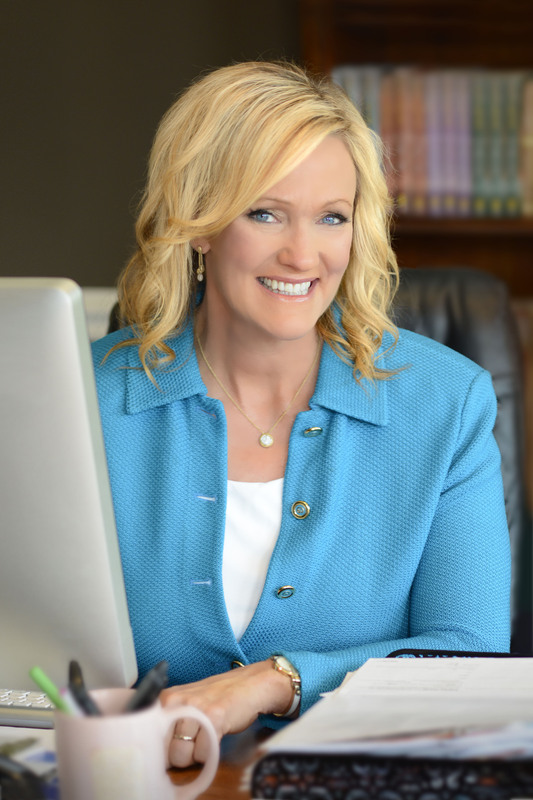 A beautiful balance of human fragility and the power of God’s grace makes this is a must-read." "At age 15, Ellie finds her world turned upside down when her parents separate and her father moves them from Georgia to California. A devastated Ellie and her best friend, Nolan, write letters to each other and bury them beneath an oak tree. The two agree that in 11 years, no matter what surprises life brings, they will return and dig up the letters together. VERDICT Reminiscent of Nicholas Spark's The Notebook and Richard Paul Evan's The Walk, Kingsbury's (Coming Home) latest novel offers her characters forgiveness and love without an expiration date. Her many fans, and readers who like to escape their daily cares with a gentle Christian romance with elements of women's fiction, will enjoy the reappearances of Molly and Ryan, familiar characters from The Bridge, as well as a likable cast of fresh protagonists." Kingsbury knows how to get down to business; readers start worrying from the opening sentence about 15-year-old Ellie Tucker and her family: "Her mom didn't come home for dinner, the third time that week." Family troubles prompt Ellie's abrupt move from Georgia to California, but before that happens she and her best friend Nolan write letters to one another that they bury and agree to unearth in 11 years. During that time, Ellie and Nolan naturally change, their paths diverging; he becomes an NBA star, she a single mother. Reckoning with loss and forgiveness for bad choices are required for healing. Kingsbury's themes are familiar, and her writing has benefited from a change of publisher. The action clips along, and readers root for the main characters. The fan-fic element of her writing remains— there's not only an NBA star but another celebrity affecting the action. But the author pours a fervent message about love and reconciliation into a novel that makes the lesson of hope go down much more easily than it would via sermon.